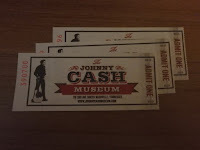 Mik knew about at least some of Johnny Cash's music (mainly "Walk the Line"), but he was interested in visiting the museum when I mentioned it when planning our Nashville trip because he did not really know much about Johnny Cash. 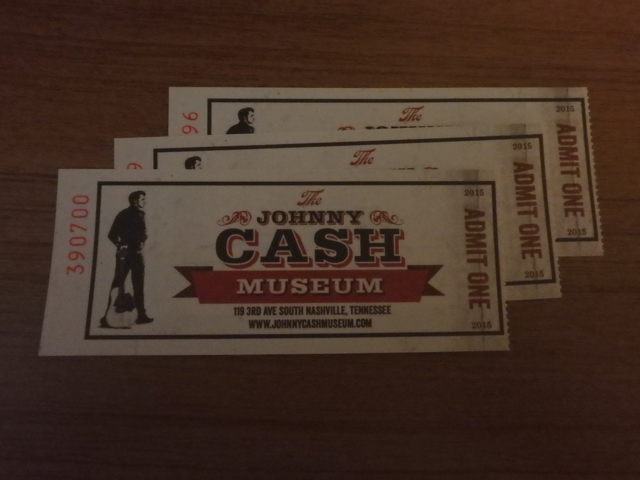 The museum is small, but it did provide a good overview of Johnny Cash's life and career (music, TV, film). Throughout there are interactive iPad displays. These were interesting, but they were mostly too high for Mik to use. 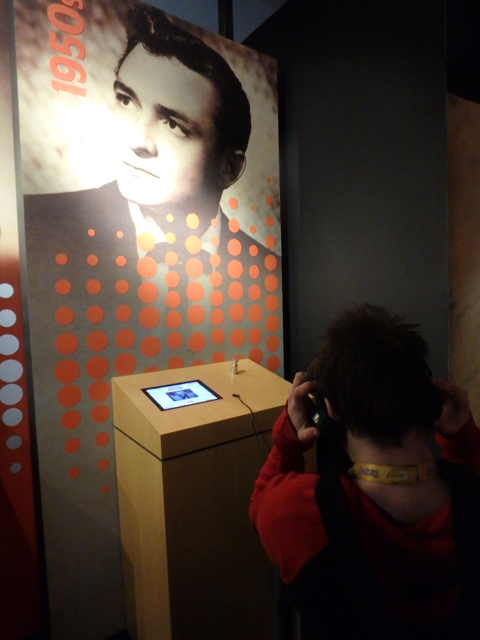 The ones at the beginning with videos of Johnny Cash performing songs in each decade of his career Mik couldn't really reach, but would've enjoyed more than one song from if only the headphones weren't too big as that was the aspect he found too frustrating. 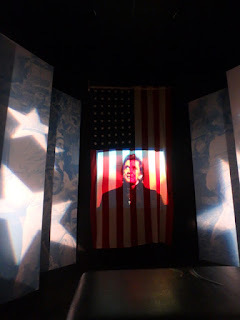 Mik's favorite part was the area about Johnny Cash and the Bicentennial in Washington, D.C. He really enjoyed watching Johnny Cash read "Ragged Old Flag." He also liked watching the "Hurt" music video at the end. The admission price is a little steep at $17/person, but it was still a worthwhile experience. It just would've been better if the iPad displays were easier for Mik to use or at least the headphones fit better for him.